More eco-conscious, vegan, preservative-free skincare products! A few years back, we introduced you to the COOLA line of award-winning, mineral sunscreens with their special formulation that disperses the mineral titanium dioxide and zinc oxide for a very transparent application. Now, we’ve tried their Makeup Primer Sunscreens, Dawn Patrol and Daydream, and we think you’ll like these as well. Both come in sleek-looking, frosted glass bottles with an easy to control pump dispenser. We love that they do double duty as a makeup primer and broad spectrum, reef-safe, SPF 30 sunscreen. They are absorbed quickly and virtually fragrance free with just a very faint floral scent for the Daydream and a whiff of cucumber for the Dawn Patrol which dissipate within minutes of application. We found that the Daydream was best used as a primer since this white lotion dried with a matte finish and a hint of a sparkle, while the Dawn Patrol was more like a clear gel with a sheer, lightweight finish that evened out our skin without the need for foundation. 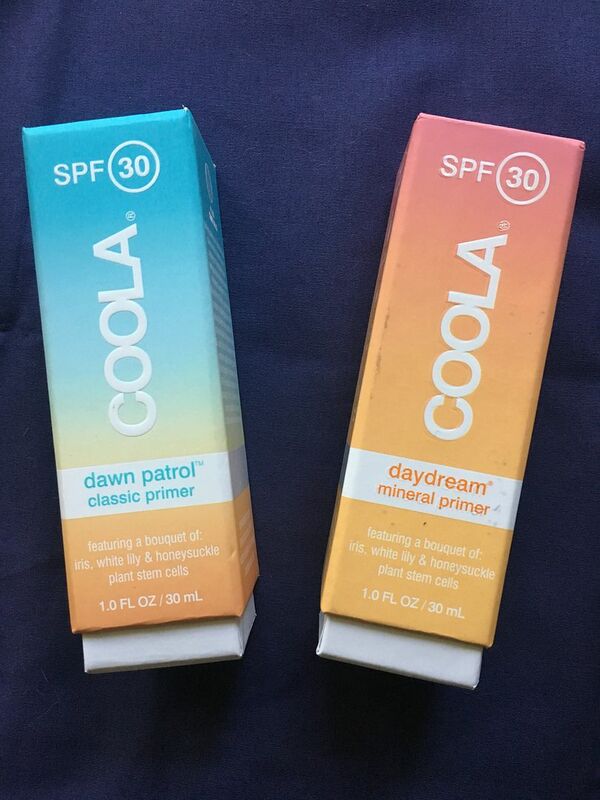 We are big fans of both the COOLA Dawn Patrol and Daydream and think they are excellent additions to our TrailblazerGirl skincare routine!